Do you love learning new things like I do? 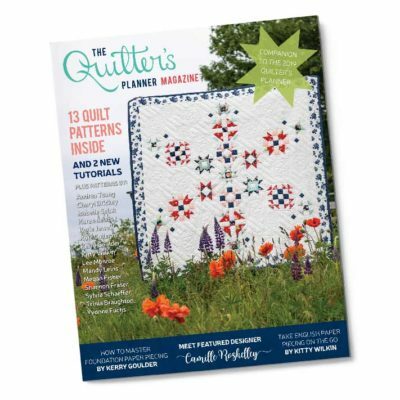 It’s one of the reasons I am addicted to quilting. There are so many new things to learn and wonderful challenges to take on each day. 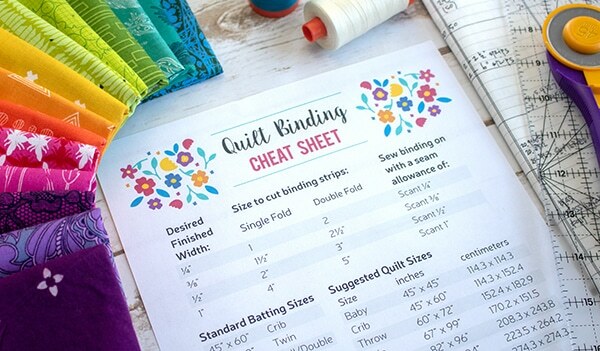 I especially love learning new things when they are broken down for me in baby steps, like they are in the new Quilters’ Planner Ebook: Design and Sew Foundation Paper Piecing Quilt Patterns. 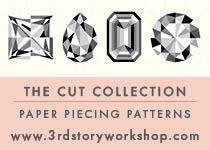 Have you ever been curious about how to Foundation Paper Piece (FPP)? And perhaps would even like to design your own FPP patterns? I have the perfect opportunity for you to expand your quilting skills this year with our FPP Ebook by Kerry Goulder! 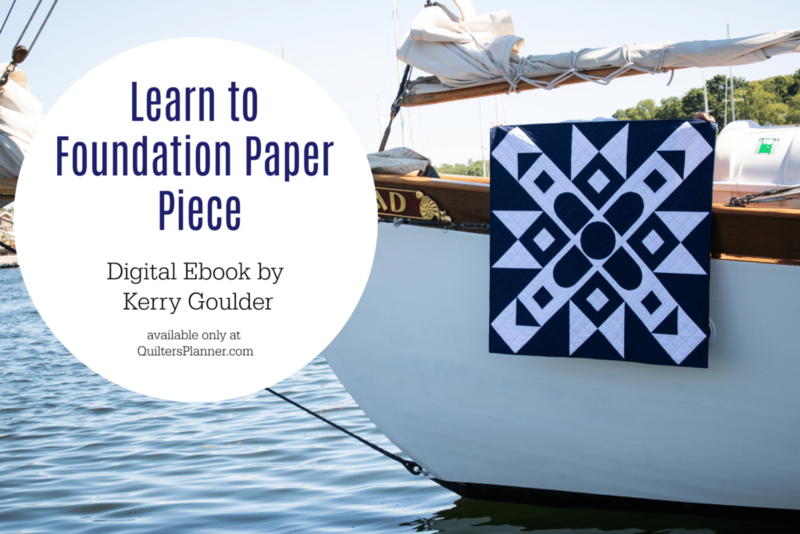 Learn to Foundation Paper Piece (FPP) and Design your Own FPP Patterns with our new Ebook by Kerry Goulder. Today only, you can get our new beautifully designed Ebook for $15.99. 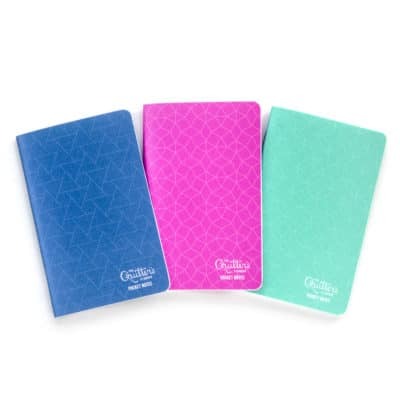 Hurry and get yours before the price goes up next week to $19.99. 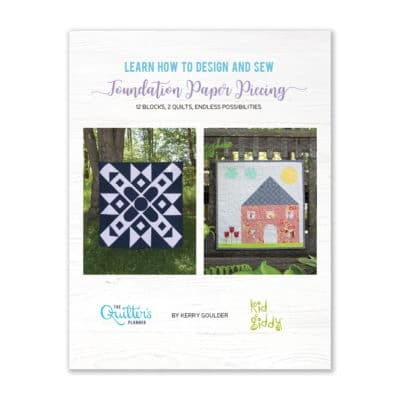 In this Ebook you will learn how to sew 12 essential FPP shapes, with clear instructions and photos, to create two unique quilt patterns. 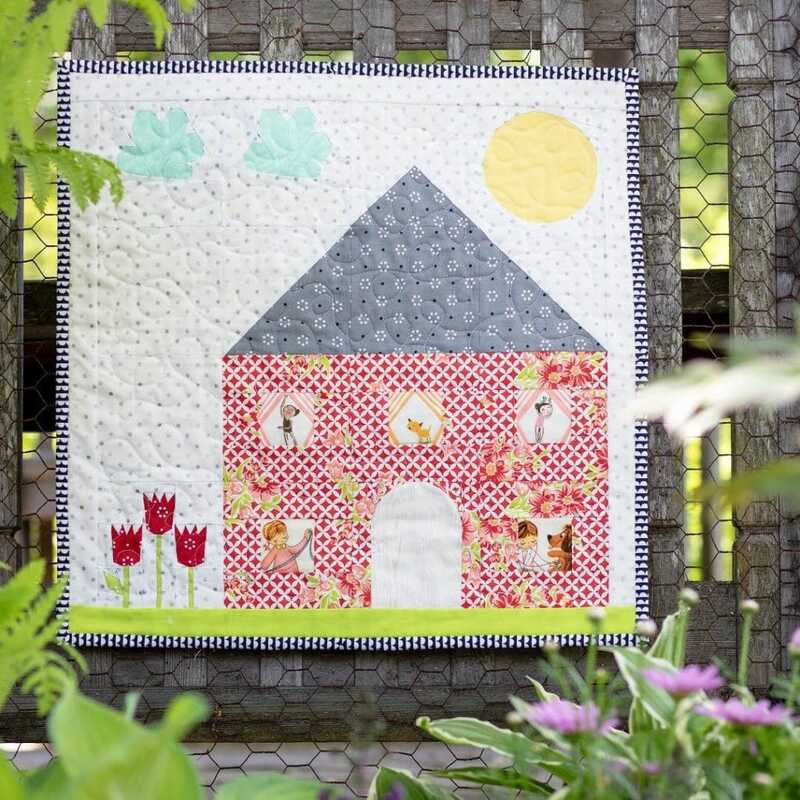 These skills will allow you to create any FPP design you can think of, like a quilt design rock star! 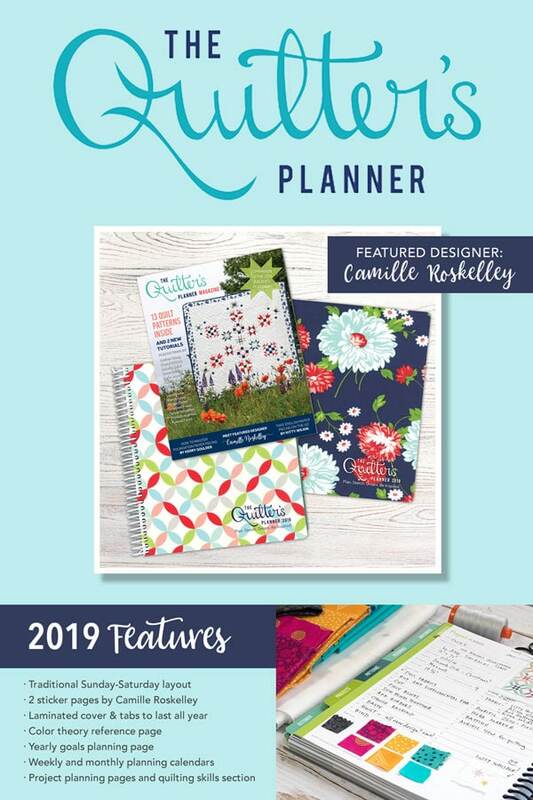 Have you heard all about The Quilter’s Planner? Click the picture below to buy your copy today!